Sorry it has been a while since I last posted, some things have been happening and I have not found the time. This is the project that I spent the summer working on. 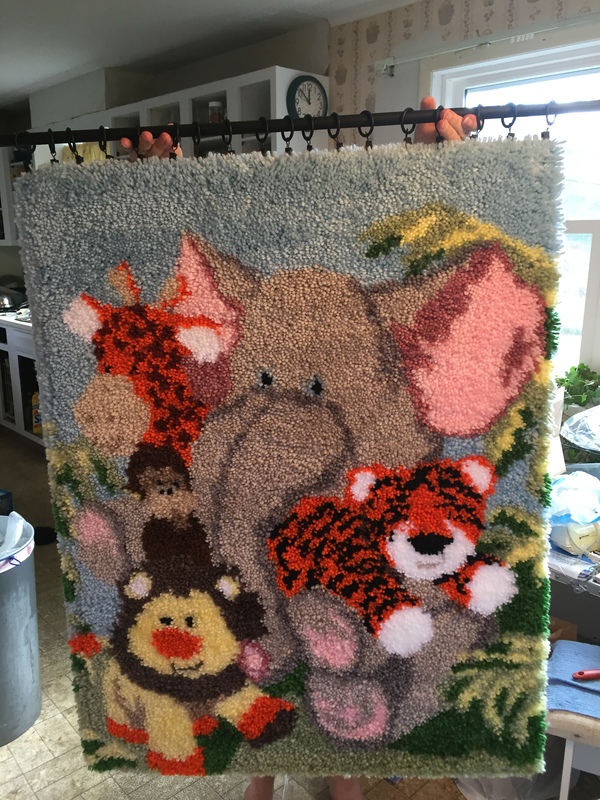 It is a latch hook rug, the seams are sewn with rug thread, a rubber backing was painted on and it was finished with a non-skid backing glued on. The latch hooking took over 85 hours, and about a week of sewing, painting, and drying time for the finishing. It was a lot of work but a lot of fun as well. This is the first really big project that I managed to complete. I purchased a finial rod to finish things off and gave this as a gift. Mom is holding the rod up behind the rug.